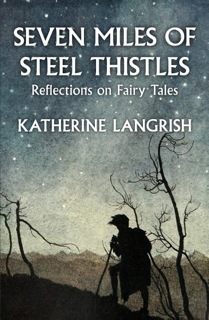 While on tour a couple of years ago to promote his Old Kingdom novel "Goldenhand", Garth Nix generously took time out to write Steel Thistles a wonderful piece about where his monsters come from. I'd asked him the question because I'm entranced by the array of terrifying, yet weirdly beautiful 'Free Magic Creatures' in the Old Kingdom novels - from the Stilken in Lirael, awakening woman-shaped from its glass coffin, but with long clawed arms like a praying mantis, to the eponymous, blood-drinking Creature in the Cage which Nick Sayre battles with a string of daisies. Garth's a master of monsters and alien creatures - only Larry Niven, in my opinion, comes even close - so Halloween seems a good time to repost this piece from the archives. Or should that be the vaults? I have an affinity with creatures, at least on the page. I like to make up horrible monsters and include them in my stories. Things that walk on spiked feet, striking sparks from stone; monsters made from gravemould and blood; misshapen spirits reemerging from Death; malignant spirits from some terrible ancient time, unwittingly awoken. Where do these creatures come from? Until I was asked this question, I must confess I’ve never really thought about it. At various points in stories I need monsters, and they always seem to be in my head, waiting to be written down. Or at least the seed will be there, and as I begin to write about them, they grow and become fully-fledged. Fortunately, they are not there until I need them: my mind is not constantly teeming with a zoo-full of terrifying monsters clamouring to be let out. But even though they do seem to be there when I need to write them, I realize on examination that it’s not as straightforward as that. My subconscious is probably aware of the fact I will need a monster long before my conscious writing brain catches up on it, and the reason one will be there is almost certainly due to the fact that over my entire lifetime I have been equipping myself to be a maker of monsters. Mentally, that is, for literary purposes only. I have refrained from building a secret laboratory in my back garden to recombine insect and human DNA for example, and actually make my own. Honest. I began, of course, with other people’s monsters. In picture books when I was very young, I particularly liked dragons and bears, and I guess at that age (and to some degree still) preferred it when the creatures turned out to have much nicer and kinder than their fangs and spikes suggested. But not soon after, as I moved on to chapter books and full-sized novels, I wanted stories with monsters who were inimical. Creatures to be defeated, or tamed, or banished. I wanted that growing sense of dread as their presence was hinted at, the thrill of their first appearance, and then the rush of excitement as they were dealt with by the protagonist or their allies. Many of my first encounters with such monsters came from children’s books about myth and legends, typically from the Greek and Norse myths. I have Arthur Mee’s Children’s Encyclopaedia and the magazine Look and Learn to thank for meeting the Minotaur, and Pegasus, the Midgard Serpent, Frost Giants, Medusa and many more. While I loved these myths and legends, they were often told in a way that made them feel like history. I am fascinated by history and I read a great deal of it, but when I was a child this storytelling technique was often a distancing one. So the creatures of myth and legend were not less alive, but they felt more distant to me than more modern fiction where I could feel that I was with the main character experiencing it all, or in fact, I was the main character, going up against these monsters. Or running away from them, which as I grew older appeared more and more sensible and realistic. These very identifiable stories of monster experience possibly began for me with The Hobbit, which was first read to me by my parents around the age of six or seven and I started reading it myself to get ahead. I not only identified with Bilbo, but also with the Dwarves and Gandalf. Reading it, I was with them, and I was them, and we were all out on that winding road having adventures, which necessarily including meeting monsters. The Hobbit also has very distinctive monsters, never just stage pieces rolled out to get an “ooh” from the crowd before they trundle around a bit and disappear. From very early on, we have the Trolls who combine humour with dread (which is quite difficult to do); the goblins who I think embody the fear of hostile crowds (the individuals are not so scary, but en masse it is quite different), a fear greatly magnified by darkness; Gollum, who is both creature and major character; the spiders of Mirkwood, which for an Australian arachnophobe were particularly daunting, again made somewhat easier to cope with by humour; and of course, Smaug, who like Gollum is both a monster and a major character. Many other books taught me how to make monsters and what to do with them. I’m writing this while somewhat jetlagged after flying from Sydney to Boston, so this is by no means an exhaustive list and I’m bound to forget some important examples, but here are just some of the authors whose creatures impressed me deeply at a young age, and in so doing, inadvertently helped me prepare to make up and use monsters in my own fiction. Alan Garner for the Brollachan in The Moon of Gomrath, and generally for his creatures that feel very deeply connected to myth and legend. Tolkien, beyond The Hobbit, for the Nazgul and Shelob, the Balrog, the classic creature of fantasy (so often imitated), the many varieties of Orc, for Sauron himself and more. Ursula Le Guin, for many things, but for the dragons in A Wizard of Earthsea and sequels, as important monster characters, and for the sense of their enormous age and deep connection to the earliest history of Earthsea. Andre Norton, who across numerous books made monsters that I loved in my childhood reading, but most particularly whatever it was that the archaeological machine in her sci-fi novel Catseye almost brought back from the past, its time shadow, as it were, enough to drive people insane . . . the hint of a monster and the effects of its presence as effective or perhaps even more effective than any description. There are many more, of course, too many to list or for my jetlagged mind to immediately produce. These books, and others, provided me with something of an apprenticeship in monster-making, and of course began to equip my mind with the tools for storytelling in general. But in addition to my reading, something else helped me along in my monster-making endeavours. 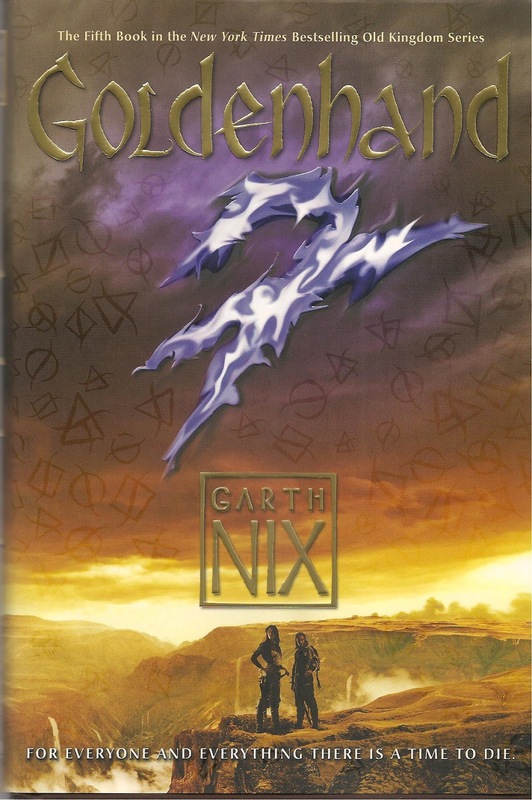 When I was twelve years old, I saw in a games shop a small white box that contained three booklets named Men & Magic; Monsters & Treasure; and The Underworld & Wilderness Adventures. In other words, Dungeons and Dragons. I already liked games, and had recently started playing miniature wargames, but these three booklets were a revelation to me, because they were about playing games that were fantasy stories, basically about being in a story. Within a day of reading the rulebooks I recruited five friends from school and we started playing. Perhaps because I’d bought the rules, I was the dungeonmaster, though I suspect it was more to do with my natural authorial tendencies that were already in evidence back then. I wanted to direct the story as much as be part of it. Dungeons & Dragons, as required for game purposes, gave monsters characteristics. I could look up a creature in Monsters and Treasure and see its armour class, and hit dice, and its attacks values and so on. There was also a brief description, sometimes including special characteristics that were not easily handled by the games’ basic mechanics. In those early days, these characteristics and game mechanics were far simpler than they later became, but in some ways I think that was useful because it gave more leeway to me as a dungeonmaster to use the creatures in my own way and I am glad that even at twelve, I fully took on that the three booklets were a skeleton structure to make something of one’s own, not a restrictive or exhaustive set of rules. This was made explicit by D&D authors Gary Gygax and Dave Arneson, but even so, some players and dungeonmasters treated the rules as set in stone. To me, and most other players, the open nature of D&D and later role-playing games provided enormous scope to develop our own adventures, and one of the main parts of this was, of course, developing new monsters beyond those in the original rulebooks and later supplements (of which there would be a veritable plethora, continuing to this day). I first started by adapting monsters that weren’t in the rule books, taking monsters and creatures out of my favourite books and working out their characteristics in D&D terms. What I didn’t realize back then, though, was that one of the primary reasons these monsters would work in a role-playing game adventure wasn’t because I’d got their game attributes right, it was because they were already so well-defined and real from the stories I’d got them from (which the players had invariably read as well), so the mere mention of some distinguishing part of their appearance or behavior would lead to the players knowing what they were up against, with the consequent emotional impact derived from the shared experience of the story. I guess what I’m saying here is that you can work out all the mechanistic details of a creature and its description and so on, as if defining it for a game or an encyclopedia or some data file, but this does not make it come alive and does not make it feel real to either roleplayers or readers. What does do this is story, and the monster’s place in it. In fact, as in Catseye I mentioned above (and in many horror stories), it is quite possible that never actually describing or detailing a monster might make it all the more effective. A reader needs to be provided with just enough information (which might be overt description, it might be character’s reactions to the creature, it might be dialogue, it might be mere allusion) to enable them to imagine the creature themselves, and whatever the reader thinks up themselves will be invariably more terrifying and effective than a huge amount of text from the author. So, my apprenticeship in monster-making began with reading and continues to this day with reading; later to be enhanced by the once-a-week D&D sessions I ran for a good part of my teenage years; and then continued with writing, as I began to want not just to read stories, and co-create them in an RPG environment, but also to make stories that were my own. Developing the world first is a very effective technique, one adopted by many great writers, but it’s not one that I follow. I tend to discover my fantasy world as I go along, I only work out what I need for the story as I need it, and this also applies to creatures. So from my very earliest stories, I would be writing away and then all of a sudden I would need a monster, and as I said at the very beginning of this piece, I would usually find one waiting in my head. Or at least the beginnings of one, often just a sense of what kind of feeling I want to evoke with that creature, or perhaps some minor point of physical description. And there I will pause for a while, sometimes for a few minutes, sometimes for a few days, while the necessary minimum I need to know about that monster rises to my conscious and can be used in the story. I say the necessary minimum because as I’ve mentioned above, I don’t want to give too much to the reader, I want to supply the catalyst for their imagination to finish creating the monster for themselves. And now, because I am writing this while on tour for Goldenhand, I’m afraid I must away. Perhaps appropriately to New York Comic Con, where I will see depictions of many monsters, but not I trust, encounter any real monsters lurking within. Which leads to a closely related topic: about how humans are the real monsters . . . I'm with you! 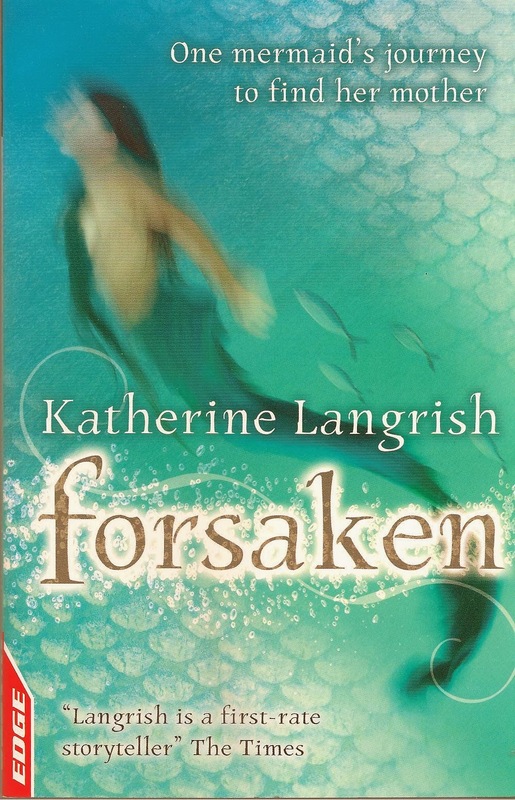 They are great re-reads, and the strong heroines are marvellous.